You are here:Home>Texas Car Wreck Attorney>What Happens If I Was Part At Fault For Auto Accident in Texas? Can I Recover If I Was Partially at Fault in a Car Accident? As in many states, Texas maintains modified comparative fault when determining recovery. Specifically, Texas follows the 51 Percent Bar Rule. This states that the damaged party is unable to recover damages if he or she is deemed 51 percent at fault, or more. If this person is deemed 50 percent or less at fault, partial recovery is available. In such cases, the amount recovered would be reduced by the alleged degree of fault. For example, if you were injured in an accident in which the other driver was drunk but you were speeding, you would likely be considered partially at fault, and therefore eligible for reduced damages. Texas officially refers to modified comparative fault as ‘proportionate responsibility.’ The state adopted this middle ground between contributory negligence (in which the victim must arrive in court with completely ‘clean hands’) and comparative negligence (in which a defendant almost entirely responsible for an incident can still claim a small portion of damages) several decades ago. No matter how you contributed to your Texas car accident, you deserve strong representation from a lawyer who cares. 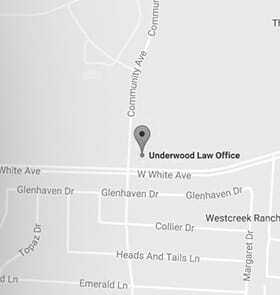 Seek counsel from the Underwood Law Office; call 469-573-4558 today to get started. What If The McKinney Police Refuses to Write A Car Accident Report?